Hi, I’m Ryan Patterson, head of Production Support at ShopBot Tools. 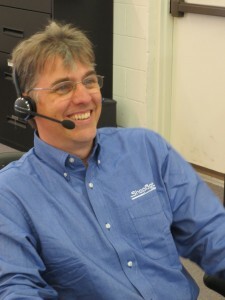 One important aspect of our company that I think sets us apart is the way we work with people to customize solutions for their production needs, from helping them to choose the right tools or tools, to assisting them with the configuration of tools to meet their changing needs. I’ll be blogging here on a semi-regular basis to share examples of this. 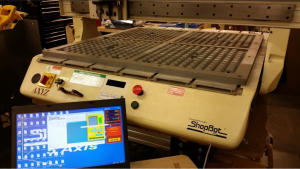 Once we replaced the older controller with a new ShopBot controller, this AXYZ tool was ready to go… “Powered by ShopBot”! We received a call from an owner of an older AXYZ-brand CNC machine. The machine had gone unused for several years and was stored in a warehouse, gathering dust. Unfortunately, this warehouse was also home to rats, and they’d used the CNC’s control box for a nest. The owners cleaned out the control box, and found the rats had chewed through a lot of the wiring. 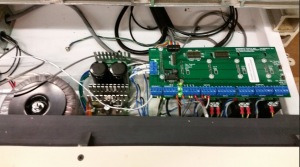 We started by going back and forth with a couple of phone conversations and emailing of pictures to determine what would be the best control system for this machine and what existing components could be reused. You’ll find an overview of ShopBot CNC controls and drive systems here. We found the VFD and the motors to be in working condition. 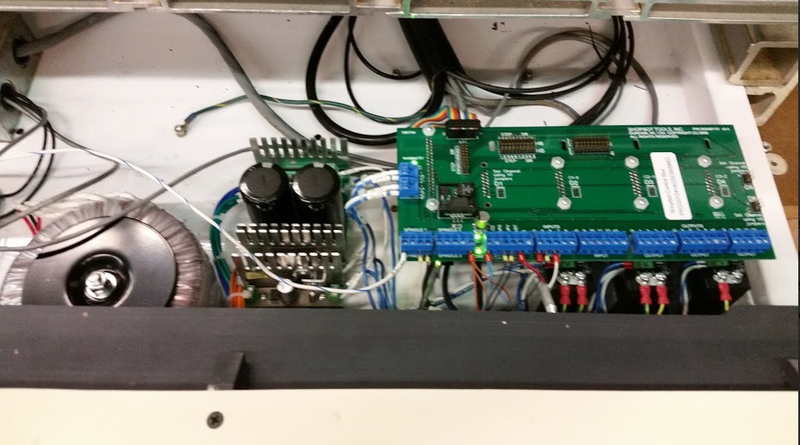 With the AXYZ’s motors being open loop, and a higher amp motor, we determined our RBK system would be the best match. 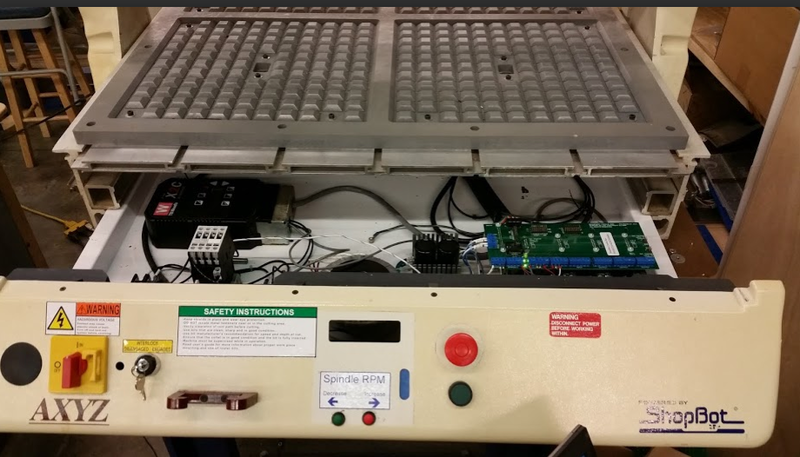 Once the machine was delivered we started with a good cleaning and removed all the non-working components. Just a couple of hours later we had ShopBot’s RBK system installed and powered by ShopBot’s control software. Nothing like making an older tool useful again! How can we help you? Just give us a call and we’ll see what we can do to make your tools work productively for you.